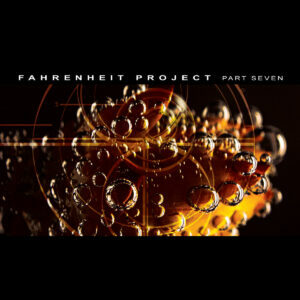 Ultimae Records is thrilled to present Fahrenheit Project Part 5. 11 panoramic tracks for better days selected by the Ultimae Team and mixed by Tajmahal. Opened by newly reformed Jaïa, this new collection of unreleased ambient anthems presents the latest works of our in-house artists Solar Fields, Carbon Based Lifeforms, Hol Baumann, AES dana and Cell but also Great Leap Forward, Aural Planet and a new project : SYNC24. As always in the compilation of this series, the journey takes you from downtempo trance to deep and acid ambient. Mixed by Tajmahal, famous for his chill out sessions at parties and festivals across the world like Zoom, Ypy Poty, Morrocco, Naturalp, Hoffmann party, Shivamoon,…and mastered by Huby Sea. Compiled & mixed by Tajmahal. Artwork by Vincent Villuis and Mat Da Kat. Mastered by Huby Sea | GingerHill Studio.